Products, service & technology that make your life easy. Quality is vital when delivering a kitchen to your client. That's why Fabuwood offers you peace of mind in knowing that 12 unique standards are met for every single cabinet shipped to you. 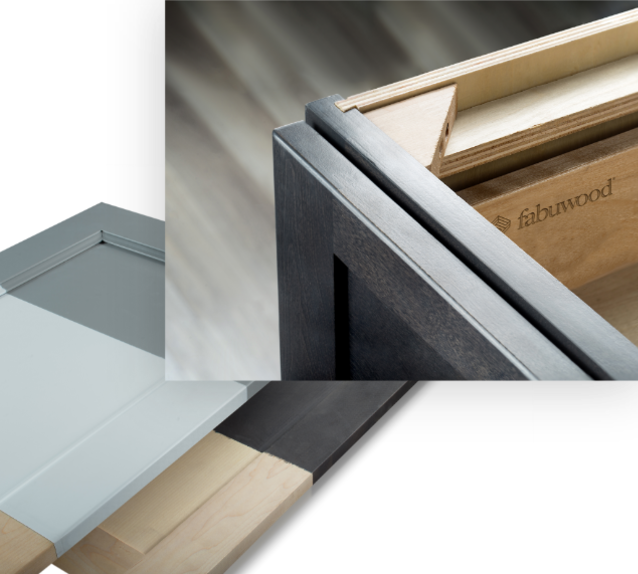 Fabuwood is the ideal cabinet brand for thousands of dealers because of its affordability, convenient ordering process and customization opportunities. 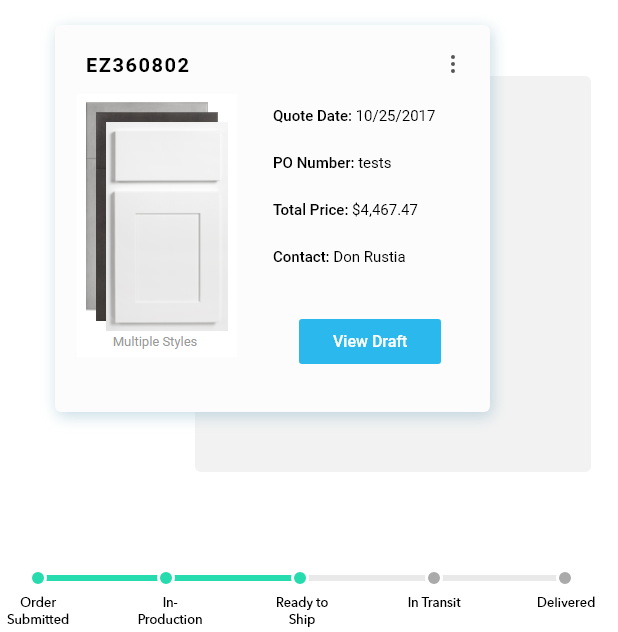 EZ Pricing is a tool designed for Fabuwood dealers. Enter orders and track them from a beautiful online dashboard. Fabuwood offers a plethora of customization opportunities. Custom colors, panel sizes and much more. We know how important quality is to you. That's why we have implemented a rigorous 12-step quality assurance process for our cabinets. Fabuwood takes pride in having a talented quality control team. The cabinets you receive are inspected for flaws and inconsistencies so that your customers are unquestionably satisfied. At Fabuwood we embrace technology as an opportunity to make your life easier. Fabuwood dealers have access to a powerful online ordering and tracking platform. Additionally, we provide free software tools to ease your selling burdens. We are constantly listening to feedback and adding new features to our software to help your day-to-day workflow. With more than 26 doors to choose from, Fabuwood is able to cater to every customer's needs. Your vision is our mission. From transitional, traditional and modern - we've got you covered. We're always on the lookout for market trends, and in turn, are constantly adding new style and color options. Although Fabuwood is a stock cabinet company, we offer many unique customization options. This gives you the best of both worlds. We're talking about custom colors, panel sizes, glass doors and other modifications that are done in-house and on demand. We have a team of experts to fulfill your needs to exact specifications. Selling cabinets can sometimes be a challenge. We're here to help! By providing you with cutting-edge sales tools and showroom displays at minimal prices, your customers will fall in love with Fabuwood cabinets before you even get to your sales pitch. When setting up your showroom, our experts will guide you hand in hand to guarantee your customer loyalty is skyrocketing. With our new state of the art facility, our competitive lead times are now faster than ever. With the ability to place orders online, your cabinets automatically enter our production line. At Fabuwood, you benefit from one of the most advanced cabinet production systems in the nation. White glove service is mandatory at Fabuwood. Every kitchen in our network is treated with the utmost personal care and attention. You will be provided with a dedicated sales rep. that will nurture your orders and ensure that everything runs smoothly. In addition, you can always pick up the phone and talk to a knowledgeable customer service agent that will assist you with any issues you may experience. Selling a Fabuwood kitchen has never been easier. Our company is one of the most recognizable cabinetry companies in the nation. We put a whole lot of effort into promoting and advertising Fabuwood to consumers, interior designers and everyone in between. That's why we're a preferred brand for countless kitchen builders. Your business growth relies on social media and we know that. Our social-savvy staff works diligently to not only promote Fabuwood content but yours as well. As a Fabuwood dealer or consumer, you are automatically part of a mutually beneficial relationship. Simply, we strive to post your stunning kitchens across all of our social media platforms. Hey, that's free advertising!